As we gear up for football and hockey season, the problem with concussion injuries once again surround the water cooler. While the majority of concussion injuries are self resolving within 7-10 days, many continue to go undiagnosed which prevents appropriate management, and therefore healing. An extremely complicated injury, the symptoms can vary for individuals. 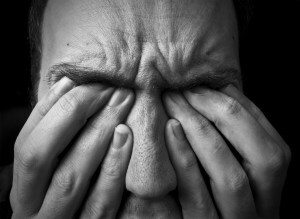 Most notably however are symptoms of fatigue, dizziness, difficulty with concentration and headache. Recently, research has pointed to rehabilitation of the cervical spine (neck) as being an important component of concussion treatment plans. Through this method, sufferers experience faster recovery when compared to those given instructions on simple stretching techniques and advised to rest. This is exactly the type of treatment chiropractors utilize in concussion recovery plans. For more information, ask your chiropractor.